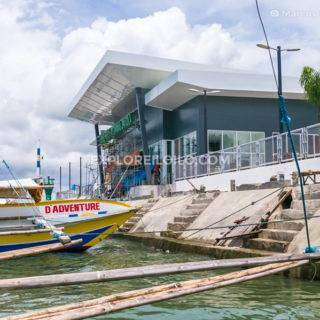 Due to its easy accessibility from Iloilo City, Anhawan Beach Resort is the perfect getaway for visitors who want to relax on the beach while looking forward to enjoy easy accessibility to urban comforts. Anhawan is a privately owned property with 6 hectares of land and 450 meters of beach front— a perfect place to spend your vacation, celebrate an occasion or just simply be at peace with nature. From a simple family outing to a grand event celebration, we take pride in being a part of an experience for you to remember! Anhawan Beach Resort is located along the Iloilo-Antique highway or specifically along J.C. Zulueta Street in Poblacion South, Oton. Getting there takes around 15 to 20 minutes from Iloilo City Proper. Travel time to or from the Iloilo Airport is around 30 to 40 minutes. I’ve been in this resort before and it was really awesome. You guys should try it. Are there any activities in or near the resort aside from the usual swimming and eating? There’s a lot of things to do in Anhawan like horse backriding and water sports activities available such as sailing, jetskiing, kayaking. Sailing across the Iloilo Strait (the narrow channel between Iloilo and Guimaras) is a great way option during sunset. There are many other beautiful view of Anhawan , the place is relaxing and clean . good for dating and family affairs too . It’s inexpensive actually. The overnight rates are typical of most beach resorts in the region. I think the late service may be because the people there are laid back just like in Guimaras and this is also very true in Fiji. Once stayed in a somewhat expensive resort in Fiji, the service was almost always one hour late because for them there was no such thing as “time”, they were a very relaxed people. I know the customer hands over their cash and expect prompt service and all that but sometimes you have to consider the location and the temeperament/attitude of people there. Nami ang anhawan so far ah it’s near in the City and the place is relaxing. bottom line – f u hav d money 8s cheap f u dont 8s expensive. marcos can u also feature about hoskyns compound – im not sure f u hear bout 8. 8s not a resort but 8 bringz me back 2 those dayz. Place was nice. Sort of stepped on a few sharp rocks or shells but that’s just me foot being sensitive. Price was cheap I think and the food was all right. We brought most of our food though. Was wondering if you could do a feature on Damires Hills and other attractions within that area. Their facebook page is very limited. Just a thought, I like how your blog lists all the details and what not. Thanks! 2000 cottage is overpriced. it depends what it’s made of. Bamboo and Nipa? Concrete ?. In Business , you have to consider the return of investment. (ROI) maintenance of the resort including repair ( very costly)repainting , trimming of grass ,cleaning pool , Utility Bills such as electricity , Water COnsumption , Wage of workers, BIR Tax etc. Imagine if the operational cost is 20,000 per month and the target of ROI is 5 years.with capital of 5,000,000. You have to reach qouta of 1 Million per year to be break down for 12 months. Even when you have profits of 100,000 in March April and May. that is , 300,000. Another 300,000 profits in October , November , December and January. it does not reach the intended qouta for a year… June July August Months, youll bleed money for maintenance. It’s not really that easy to have a business. The owner realize that its guest have more freedom than him.They enjoy amenities without undergoing these painful business process.More often than not, It’s their luxury to have a resort, and often have other business ventures too that able them to maintain these places. Still, too ridiculously expensive. There are much better resorts and they are less expensive. Even if you have enough money, you’ll be hesitant to spend for something not worthwhile. My 2 cents. Rates are way too expensive. How can we attract tourists? I had position my tent right next to this beach too , it’s sandy overlooking Guimaras Island. @Jonha | SavingisSexy ,Some cant afford or complains about the charges because they think it does not commensurate the fun they are looking for.Why wont you inject an idea we could have precious moment without spending big and wonderful moments is not determined by amount of money youre spending instead of feeding someone else ill-feeling and notion Jonha ? She was pretty accurate. 2k really won’t last you long in Boracay. You’re misunderstand her post read it again. Besides she was positive about her experience. Actually I went there and thought the place was decent. hay ganda talaga ng sunset sa anhawan. dun kinasal tita ko and it was romantic. even though they didnt cater us the food (outside caterer) but sulit yung service. they have this staff naaccomodating. and i saw also na meron na sila water activities. ill come back to try that one too anhawan! hello everybody! anhawan is a great place. they have new amenities which i hope will flourish and i am one of their supporter. the sailing! i know that iloilo already have one but only anhawan have beautiful and big sailboats. i tried to sail once and it is awesome. i stayed at their one cheapest room, the Baron, and i feel i was just in another country traveling. the spa massage which i tried also outside is relaxing. i stroll along the beach and they have this big areas for camps and weddings. go anhawan. make iloilo proud. i hope they can cater venue for big events such conventions or do some party party like octoberfest or national destinations. hi there matty! anhawan resort and spa is one of the most great idea to camp with. if you are interested you can call their office for further details. how about the camping site in anhawan? any comments? 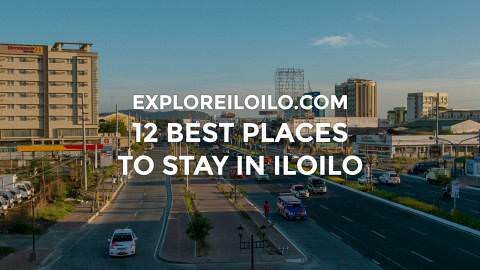 How do I get transportation from and to the IloIlo airport? How much are taxis to go out in the city at night? my last stay in anhawan was very nice for me. we stayed in the baron suite and it was beautiful. too bad there was no room service but so far it was great. maybe the people above didn’t get a nice room. i suggest you should stay in the baron suite. it has a nice view, flat screen tv and comfy beds, very roomy. i would definitely go back to this hotel. Thank you so much for this honest comment guys. Many changes is happening right now in Anhawan Beach Resort & Spa. Hope you can visit the place again. all of the comments here are true, for me and my whole family have been there once and experienced this kind of service. anyhow the experience is not so bad, but at least the management should improve the services especially on the points mentioned here. We customers are willing to spend the extra buck so long we are always satisfied with the services. Those complaints have been the remnant of the services of old Anhawan and were not upgraded even after the beautification of the resort. Btw, this place was chosen by our reunion committee this year. So please anhawan management, heed some of the comments here for the betterment of ilonggo services and pride. oh….im planning to go to anhawan on thursday with my friend from china for the 2nd time i supposed,, but, wow….i changed my mind because of this unexpected comments and testimonials of the guest’s….i thought it was great the 1st time i went there…but now,, i don’t think so…anyway, thank you guys,, we have to change our flight anyways,,, palawan instead of anhawannthanks..goodluck anhawan..
yeah right!!! thanks to all who gave their testimonials… you have helped millions or thousands of guests who are planning to go there. kip it up guys!!! Buti nalang nabasa ko to. Punta sana ako don. ahaha! Its really nice to have this page here in the internet. At least you know what to expect. Thanks for the honest comments guys. Anhawan Beach Resort & Spa is a true getaway! Perfect for couples and families looking for peace and quiet and privacy. Big groups and conferences can use the available amenities for such gatherings as well. You can easily relax in tastefully designed villas with minimalist interiors and wide verandah looking out to the sea. This is a 5-star experience that deserves a place on your summer to-do list.